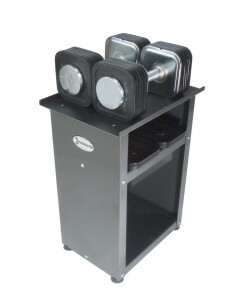 Ironmaster founded in 1978 is the leader in innovative personal strength training equipment. Known for producing high quality and heavy duty equipment. Their range of products include adjustable dumbbells, kettle bells, weight bench with loads of attachments, olympic bars plus many more. 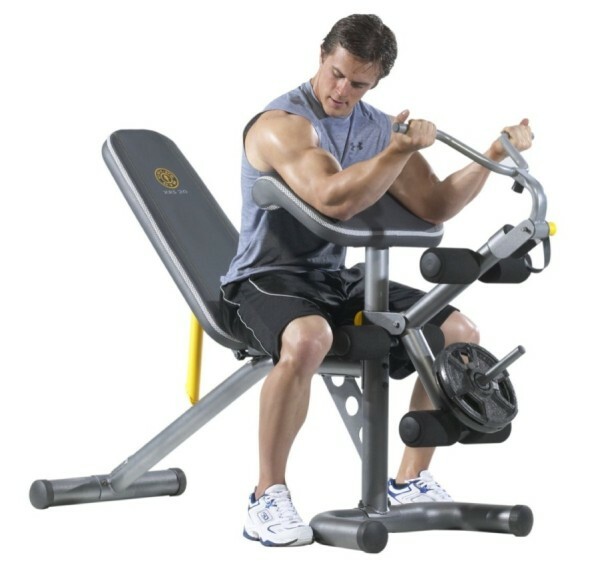 The Ironmaster 75 lb Quick-Lock Adjustable Dumbbell System comes with: Two 75 lb dumbbells, a stand and exercise poster. The stand included is very strong and compact, also space efficient taking up less than 2 square feet. Weight settings for each dumbbell in lbs: 5, 10, 15, 20, 25, 30, 35, 40, 45, 50, 55, 60, 65, 70, 75. 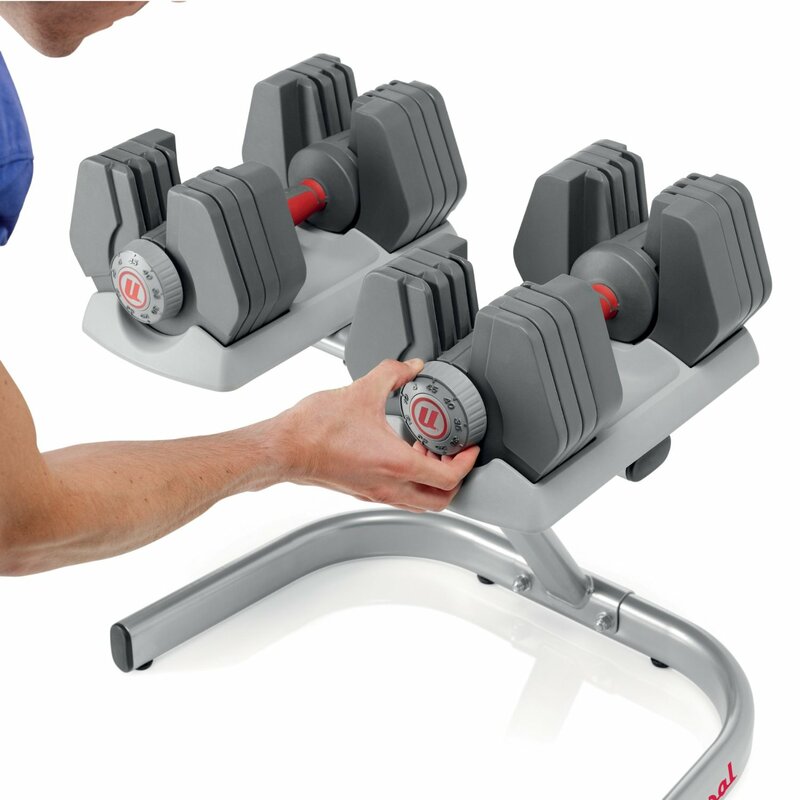 Dumbbells can be expanded to 120 lbs each with the Ironmaster Dumbbells Add On Kit. 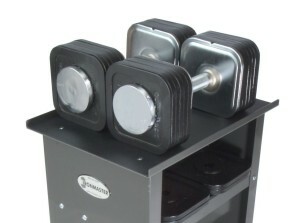 Also available as a 45 lb pair, Ironmaster 45 lb Adjustable Dumbbells. Very heavy duty construction with welded steel, chrome plated handles. 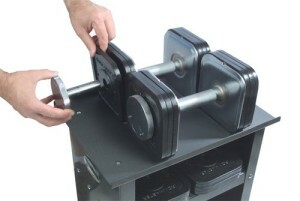 Quick-Lock handle design allows you to change weight quickly by removing or adding plates. 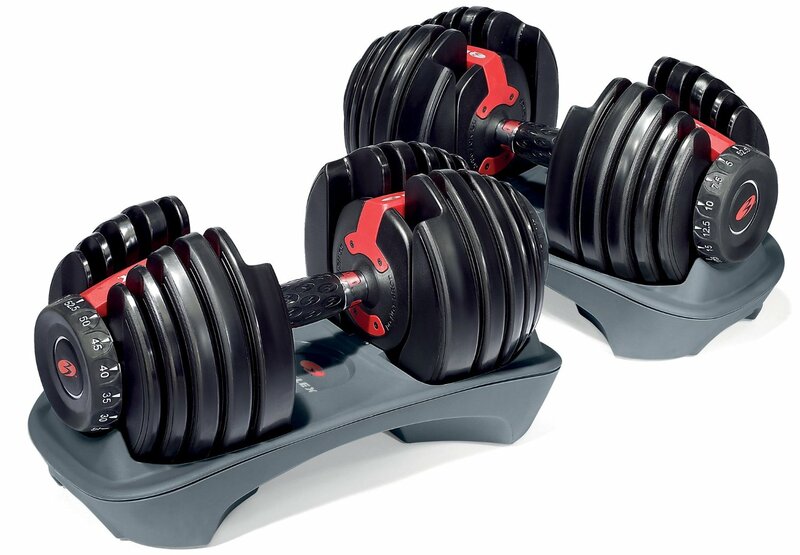 Dimensions (With the dumbbell being 75 lb): 14.5″ L x 6.5″ W x 6.5″ H.
Not made with any plastic or fragile parts, making the Ironmaster Dumbbells very tough and durable. Dumbbells lock up with no rattling or looseness. Replaces 15 sets of dumbbells, which keeps your workout area looking tidy. The heavy duty stand has plenty storage space for unused weight plates. You’re not limited, if the weights are not heavy enough you can purchase the add on kit to increase the weight of each dumbbell up to 120 lbs. Dumbbells are compact, the length of the dumbbell at 75 lbs in only 14.5 inches which will not restrict you from doing certain exercises. 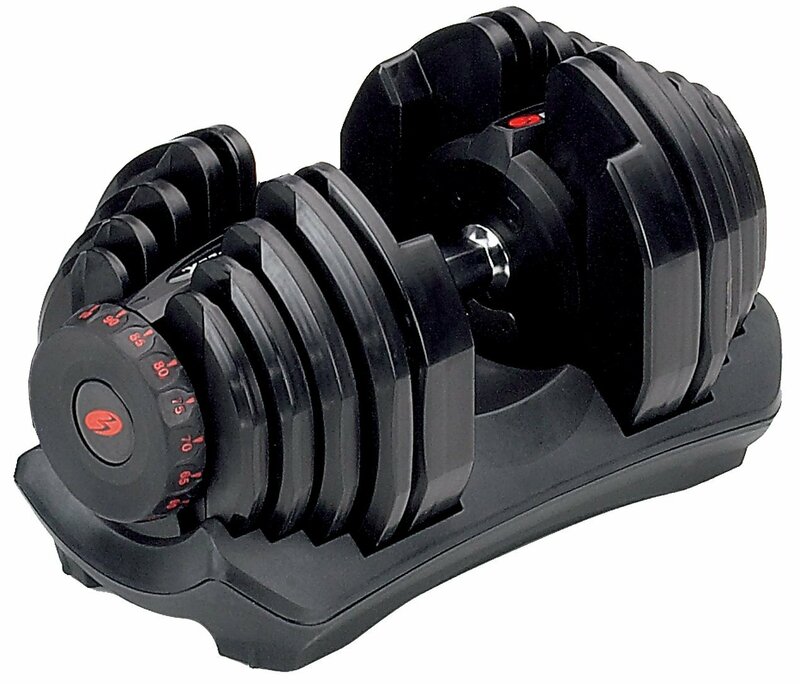 Takes longer than other adjustable dumbbells to change weight. 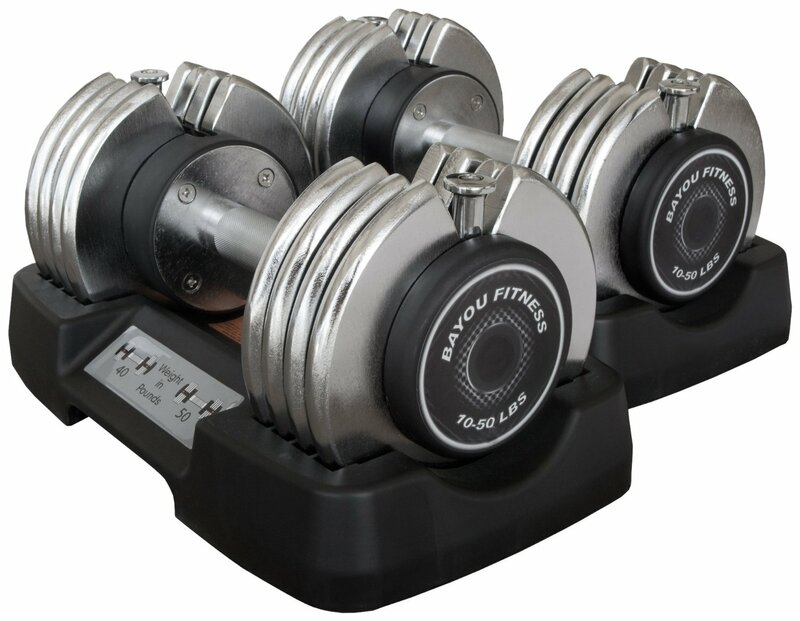 These Ironmaster Adjustable Dumbbells are if not the toughest and most durable adjustable dumbbell, they are definitely one of them. 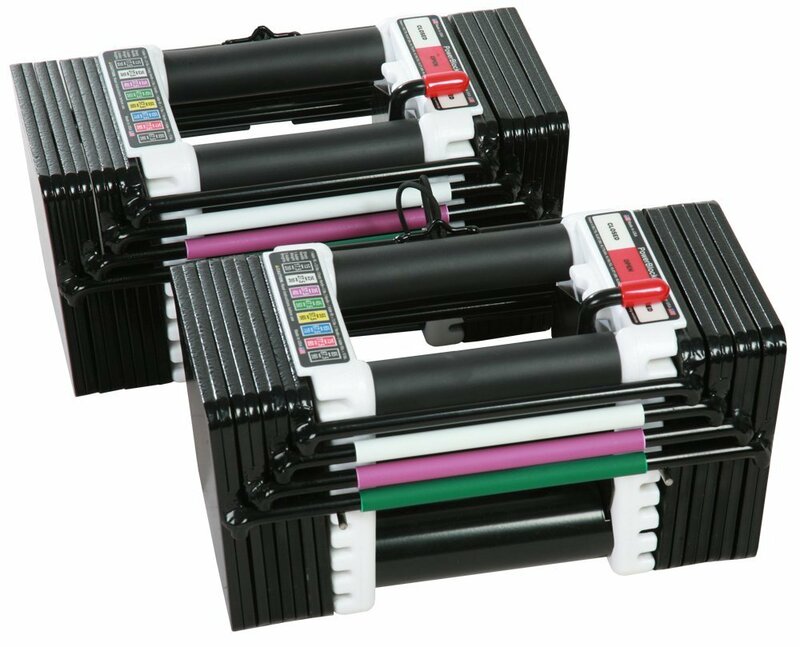 They are very compact and only increase in length if you add weight plates on unlike some other adjustable dumbbells such as the Bowflex SelectTech 552 stay the same size regardless. The Ironmaster stand is also very convenient as it is strong and sturdy, it also allows you to store unused weights including the add on kit. It can also be used to store other things as the unused weights won’t take up all the room. The add on kit is also a big plus as it lets you get more out of your dumbbells, if you’re easily lifting the maximum weight on a dumbbell but can’t increase the weight any further then you feel like your potential is being limited. The time it takes to change weight is around 15-20 seconds which is quite a bit longer than other adjustable dumbbells such as the Weider Speedweight 100 which takes just seconds. If you don’t need to change weight so frequently or if your rest time is 30 seconds or more then this shouldn’t be an issue.